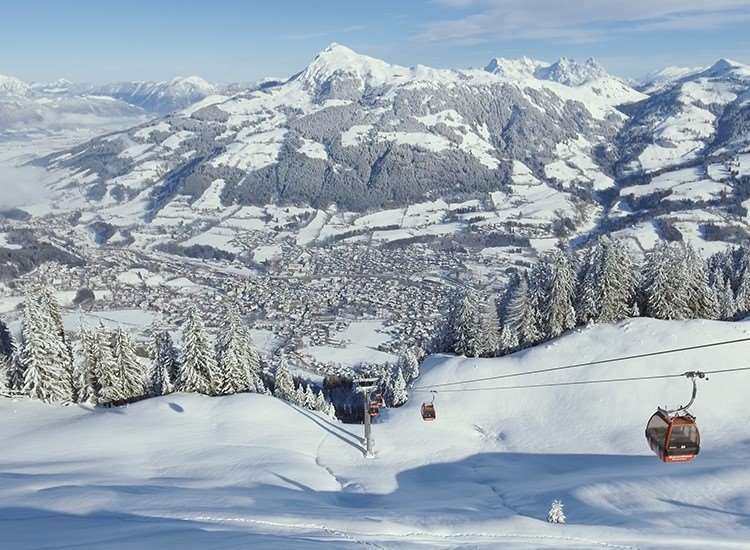 Enjoying lovely views of Kitzbühel and the mountains, the Schweizerhof is in a great position opposite the Hahnenkamm gondola and just a short stroll down to the centre of town. The hotel has an excellent reputation for cuisine as well as a modern spa area. The whole hotel is non-smoking. Standard Austrian twins have bath or shower. Larger Comfort Austrian twins have bath or shower, panoramic views and lounge area and also sleep up to 3. All rooms have radio, cable TV, safe, hairdryer and telephone.